We believe that business growth should not come at the expense of the environment. 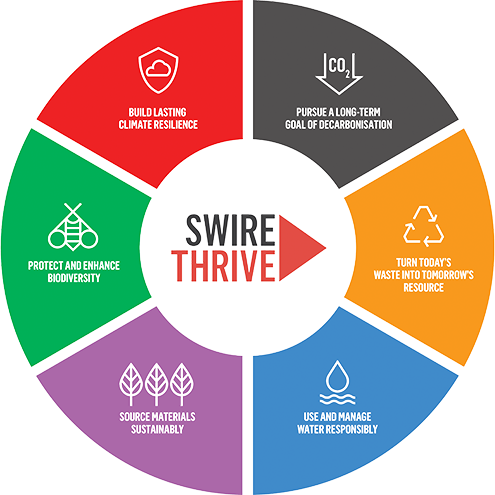 This is why in 2016 Swire introduced "SwireTHRIVE", a new group-wide environmental sustainability strategy which will have an impact on every part of Swire's operations. With the notion that "When we help the world in which we operate to thrive, so do we", the "SwireTHRIVE" strategy comprises six key target areas for improvement that have been identified as being material to our businesses. They are: Carbon, Waste, Water, Sustainable Materials, Biodiversity and Climate Resilience. These goals are due for delivery by 2030, with initial emphasis on 2020 milestones. In order to achieve these objectives, we encourage practical innovation, invest in technologies and businesses that help reduce environmental impact and generate long-term growth, and strive towards the highest standards of operational efficiency. We acknowledge that climate change presents challenges, but also offers opportunities for our businesses. More than ever, we have both the economic and environmental incentives to implement more sustainable solutions to reduce our greenhouse gas emissions and help to mitigate climate change. At Swire we manage our long-term impact by investing in innovative strategies that can help us to achieve these reductions. Although the Aviation Division accounts for the majority of our emissions, we encourage all operating companies to set targets to lessen emissions; our group-wide strategy for achieving this goal has three components: Reduce, Renew and Offset. Cathay Pacific has set a target of improving average fuel efficiency by 2% per annum between 2009 and 2020. This exceeds the agreed industry target of 1.5%. In 2015, fuel efficiency improved by 3% in relation to traffic carried (revenue tonne kilometre (RTK)) over 2014. This initiative supports the International Air Transport Association's (IATA) target of carbon neutral growth from 2020. The airline manages its emissions by using more efficient aircraft and engines, by improving operational efficiency, through monitoring fuel consumption, reducing weight and washing engines, and by improved route planning and airport procedures. Swire Pacific Offshore (SPO) has a Fuel Efficiency Management System which provides real-time fuel consumption information. This enables vessels to operate at optimal speeds to minimise consumption. Cathay Pacific has a minority investment in Fulcrum BioEnergy, Inc. (Fulcrum), a US-based biofuel developer pioneering the conversion of municipal solid waste into sustainable aviation fuel. An offtake agreement with Fulcrum will see Cathay Pacific receive 375 million US gallons of sustainable jet fuel over 10 years, starting from 2019. According to Fulcrum, jet fuel produced by their waste-to-fuels process will reduce lifecycle carbon emissions by more than 80% when used in aircraft or road transport, as compared with traditional fuels derived from crude oil and other fossil sources. In 2013, Swire acquired Argent Energy, which pioneered large-scale commercial biodiesel production in the UK in 2005. The award-winning Scottish company produces biodiesel from used cooking oil from the food industry, tallow from the meat industry, and sewer grease. Swire Pacific Offshore's (SPO) forest conservation project in Paraguay has been developing, for internal use, an average of 12,000 dual accredited (VCSA and CCBA) REDD + Voluntary Carbon Units each year since the end 2010. Around 20,000 verified carbon units (VCU) had been registered in SPO's Environmental Registry account by the end of 2015. James Finlay Kenya is in the process of developing a project to generate carbon credits from clean biomass cooking stoves. 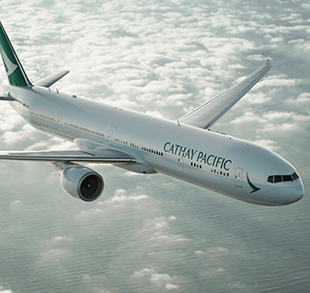 Cathay Pacific offset 15,600 tonnes of carbon dioxide in 2015 through its FLY greener programme. 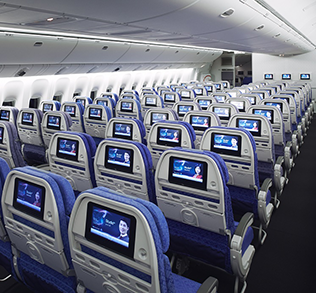 These offsets are relatively small in terms of the airline's carbon footprint, but play an important part in raising awareness of climate change amongst passengers and staff. Electricity consumption is our second largest source of greenhouse gas emissions after jet fuel. Making our buildings and operations more energy efficient is a priority. Our operating companies exchange information about energy efficiency through our Energy Committee. In 2015, energy audits of six operating companies were conducted, with savings of five million kWh per year identified. 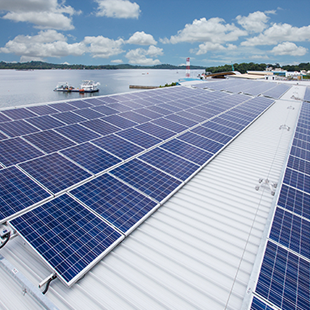 Swire Pacific's Sustainable Building Design Policy requires all new facilities and substantial renovations to attain the highest or, as a minimum, the second highest international or local green building certification. Swire Properties aims to reduce electricity consumption by 64 million kWh per year by 2020. Energy intensity decreased by 29% in 2015. United States Cold Storage (USCS) has achieved a 20% increase in energy efficiency since 2009. The company's average energy intensity in 2015 was 1.13 kWh per cubic foot — well below the International Association of Refrigerated Warehouses' average of 1.24kWh/ft3. USCS aims to achieve a 1.5% increase in efficiency year-on-year. Almost three quarters of the energy used by Finlays comes from renewable sources – micro- hydropower plants, solar energy and biogas. USCS has built a 2.68 MWt ground-based photovoltaic array at its Lumberton site in North Carolina that will generate, on average, 3.5 million kWh of renewable energy per year over the first 20 years of operation. Together with the roof-mounted solar array at its Tulare, California, site, USCS generated 921,078 kWh of renewable energy in 2015. In 2015, Kalari made a significant investment to mitigate its electricity consumption, with the installation of solar panel arrays on its depots at Portland, Victoria; Moranbah and Gladstone in Queensland; Adelaide, Port Pirie and Ceduna in South Australia. Solar panel installations at seven sites, together with the upgrade to LED lighting at nine sites have enabled Kalari to reduce its electricity consumption by 50% and carbon dioxide emissions have been reduced by 468 tonnes per year. 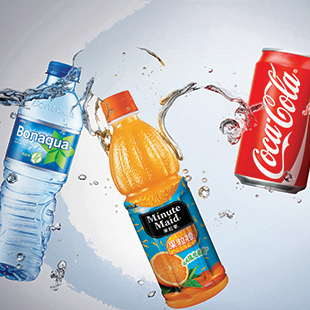 Swire Beverages has achieved a 39% improvement in the Water Use Ratio (WUR) since 2004. The WUR is used to measure the total amount of water used in manufacturing the product and cleaning production facilities and beverage bottles, in order to produce one litre of beverage. Our bottling plant at Luohe in Mainland China's Henan Province has the lowest water and energy usage per litre of product of all Swire Beverages' bottling plants. The facility has implemented more than 49 environmental solutions, many of which have also improved production efficiency. The plant has been certified to the platinum rating under the Leadership in Energy and Environmental Design (LEED) certification. All wastewater is required to be treated so that it meets or exceeds legal requirements and can be safely returned to the environment. Some water is reused within the bottling plant in cooling towers or for car washing. In the Zhengzhou bottling plant in Mainland China, 100% of wastewater is treated before being used by the municipal government in an urban wetland. It allows our plant to achieve full reuse of treated wastewater whilst enabling the city to avoid using 200 million litres of fresh water per year – the equivalent of 80 Olympic-sized swimming pools. Swire Beverages has already met and exceeded its 2020 goal to return an equivalent amount of water to that which it uses in its products back to communities and the environment. Our US flow restoration projects in Chalk Creek, Utah, and Jesse Creek, Idaho (the water source for Swire's Fruitland bottling plant), have restored stream flows of almost 300 million litres per year — enough to fill 120 Olympic-sized swimming pools. Replacement of disposable material with reusable or recyclable materials. Minimal environmental impact from the entire product or service lifecycle. Minimal packaging or elimination of packaging. Reduced energy or water consumption. In addition to the group's sustainable procurement policy, our sustainable food policy provides guidance about foods that should not be served at company facilities, events, or to customers. The policy, which covers shark fin and bluefin tuna, is drawn up with reference to international standards such as the WWF Seafood Guide and the Convention on Internal Trade in Endangered Species of Wild Fauna and Flora.